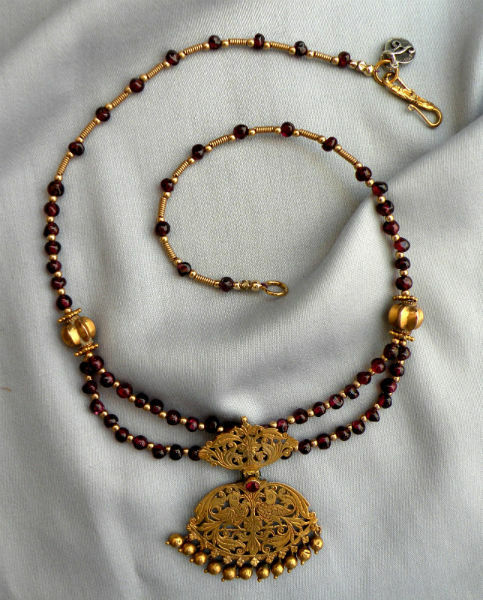 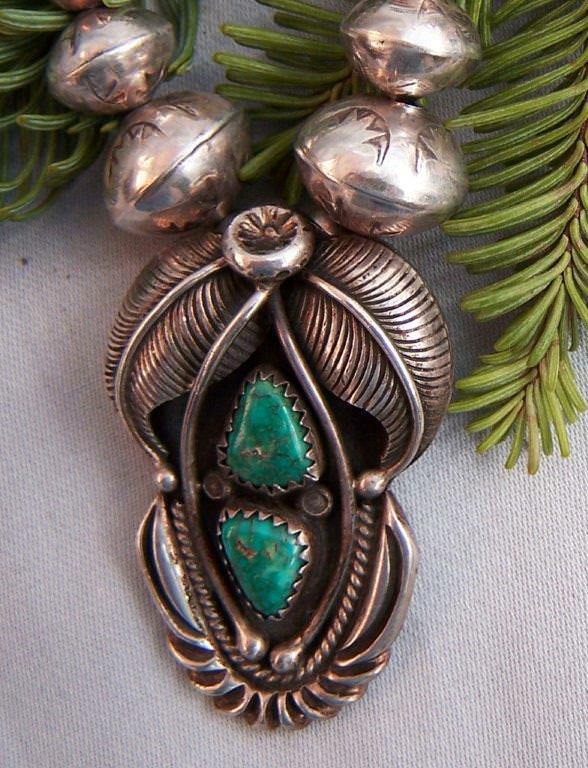 This 22″ necklace has a very beautiful old Navajo pendant. 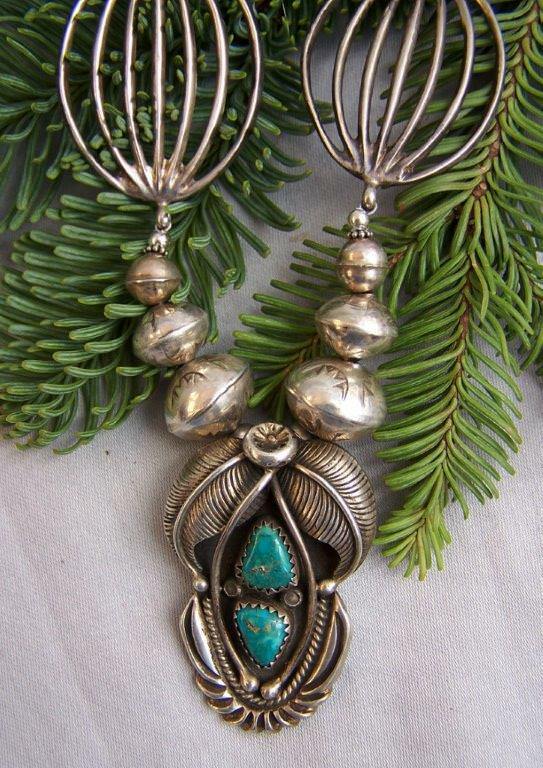 It is strikingly designed with 2 bluegreen turquoise stones in saw tooth bezels, surrounded with elaborate silver leaves, a squash blossom flower and other elaborate embellishments curving toward the bottom of the charm. 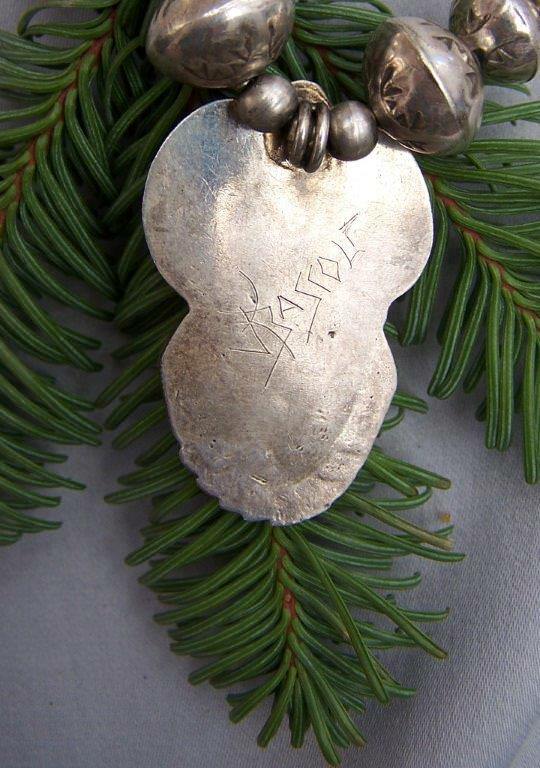 I have not disturbed the patina on this charm. 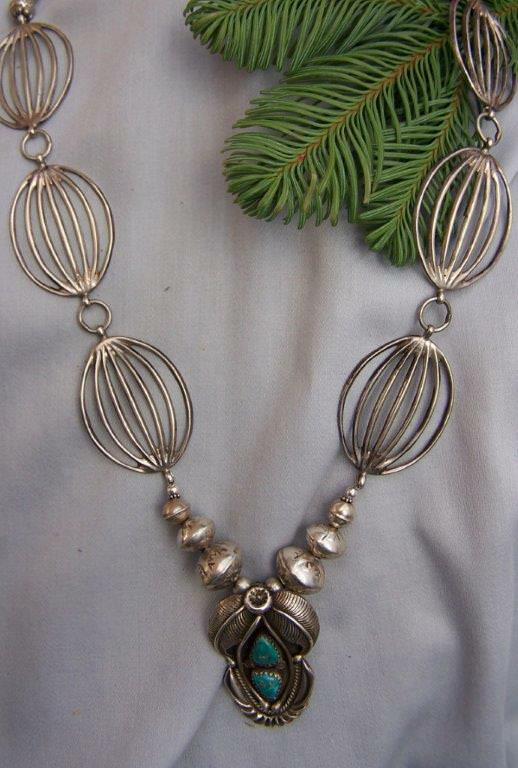 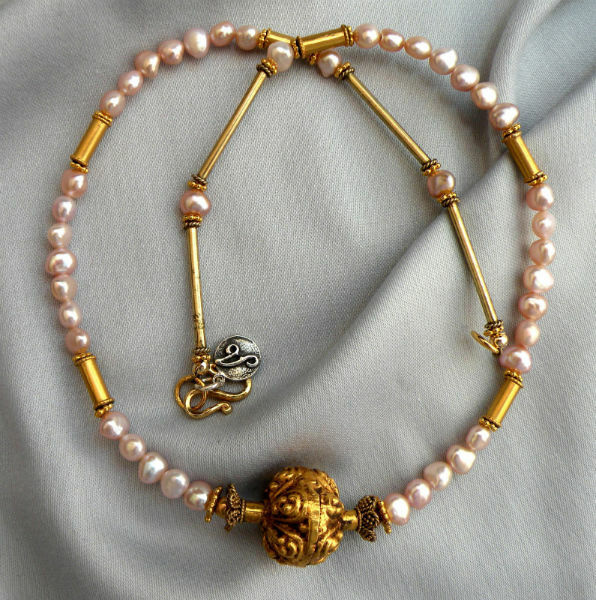 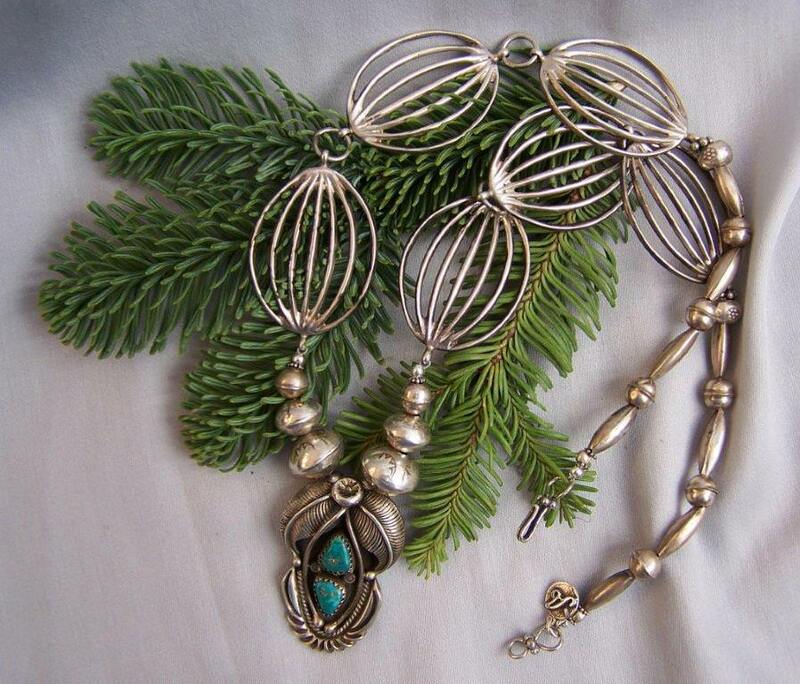 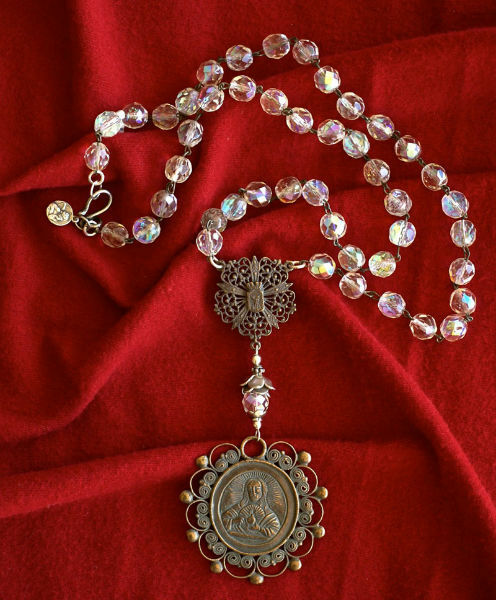 It is hand signed on the back, and is flanked by six old, round bench made sterling Navajo pearls, 4 of which are hand stamped with subtle designs, then I have added 6 elegant open work sterling concho style links that make this necklace an unusual and stand-out rarity. 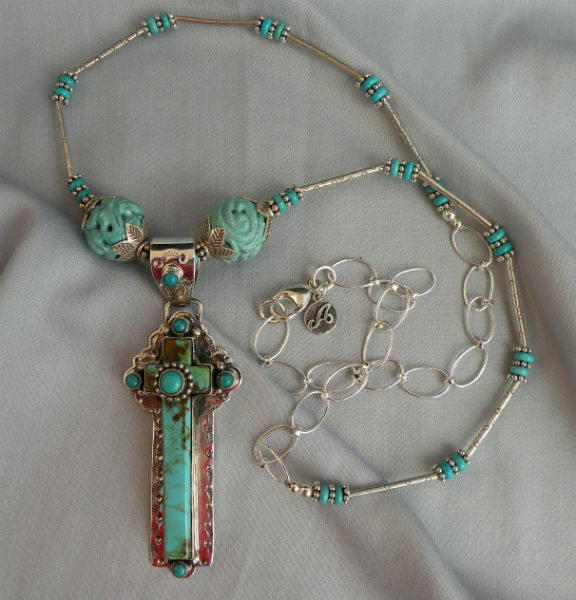 I’ve finished the necklace with vintage Navajo bench made silver beads and a simple clasp.